I’m switching up my comments page so that I can individually reply to all of your comments and somehow all of my comments disappeared! Insert Snooki’s “waaaaaah!” here! So sad. Good thing I have all your comments on my berry. I will respond- I promise! It will just be like the good old snail mail post where you have to wait for days to get a response. 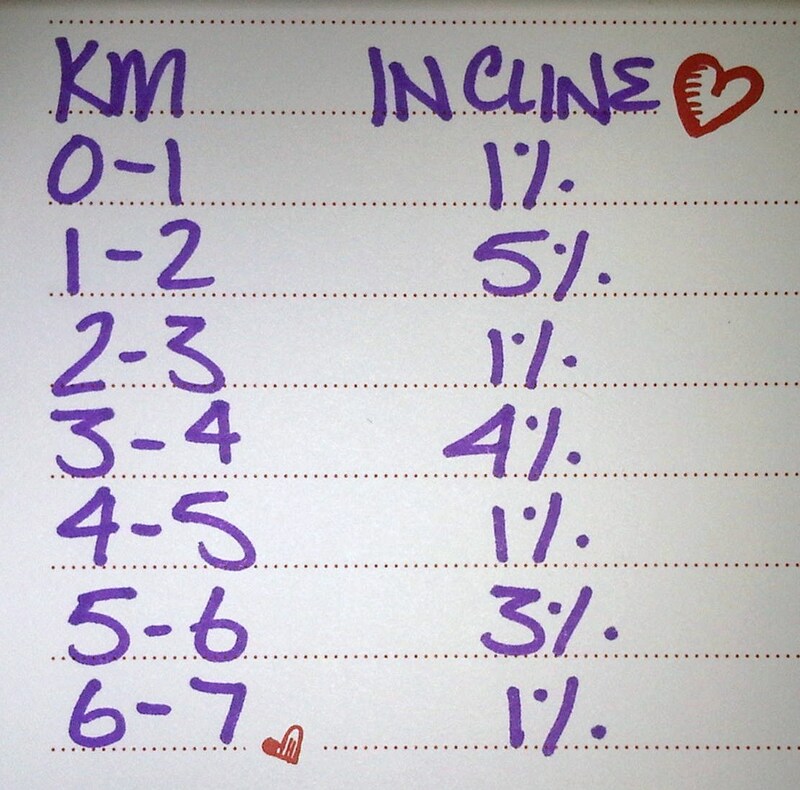 In better news- I did some inclines on the t-mill with the help of my fabulous friend Janae@ Hungry Runner Girl. I took her advice and started with the biggest hill first and the smallest hill last. It was hard but I liked it! I’m use to gradually making my way up to that HUGE hill but it’s always so good to switch up your workout so that your muscles don’t get into a routine. I’m starting to get knee pain from switching from t-mill to outdoor running. I’m just not use to the pavement anymore. So, I’m gradually getting back to it. But with all that snow falling I don’t think I will be running outside. Yep, my wimp side is back. 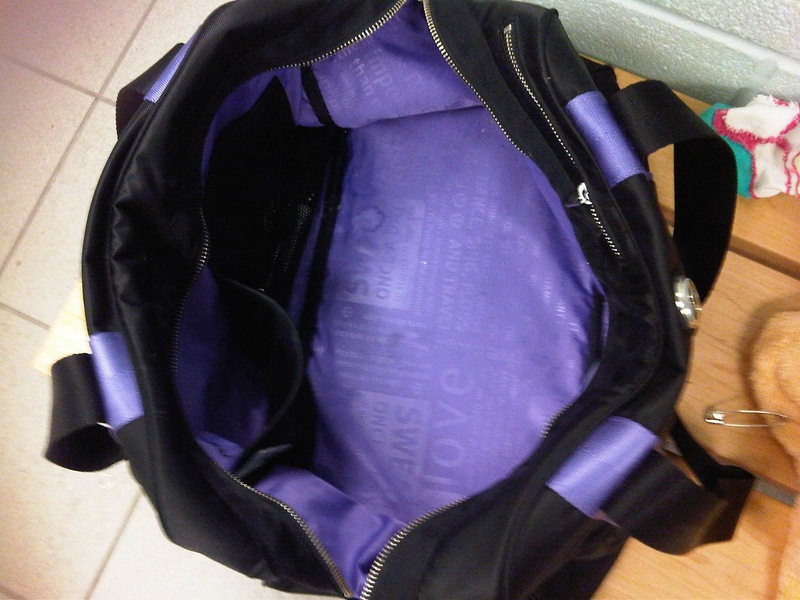 And then I went to have a shower and my flip flops, shampoo, conditioner, and body cleanser weren’t even in my bag! Insert another Snooki “waaaaaaaaah!” here! So, I just had to shower when I got home. Yes, I left stinky. 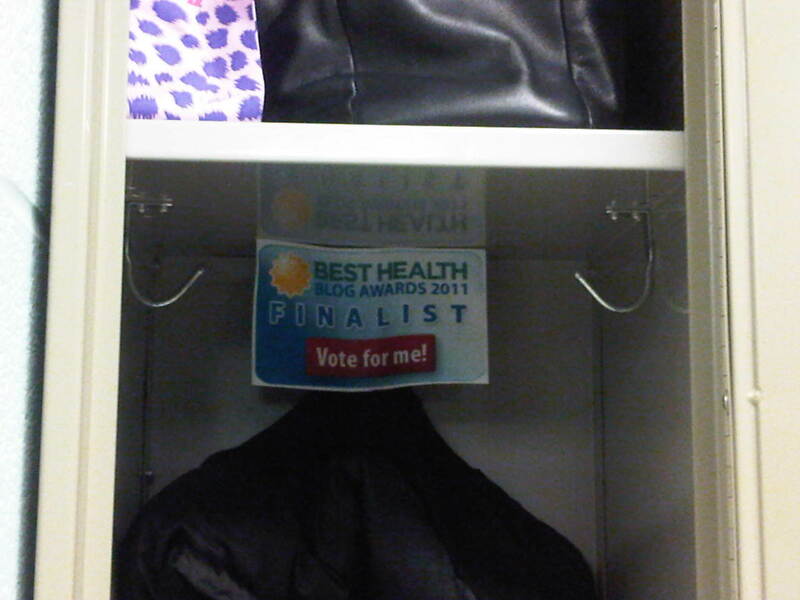 On the plus side, my locker is voting for me at BEST HEALTH MAGAZINE’S BLOG AWARDS! And you can do it HERE! This entry was posted in Best Health Blog Awards 2011, C+C Music Factory, http://schemas.google.com/blogger/2008/kind#post, Inclines, Stats of the Run by Siobhan McCarthy. Bookmark the permalink.